Set in 14 acres of expertly manicured gardens and natural woodlands, Linthwaite House is an Edwardian country hotel run by the renowned Leeu Collection group. 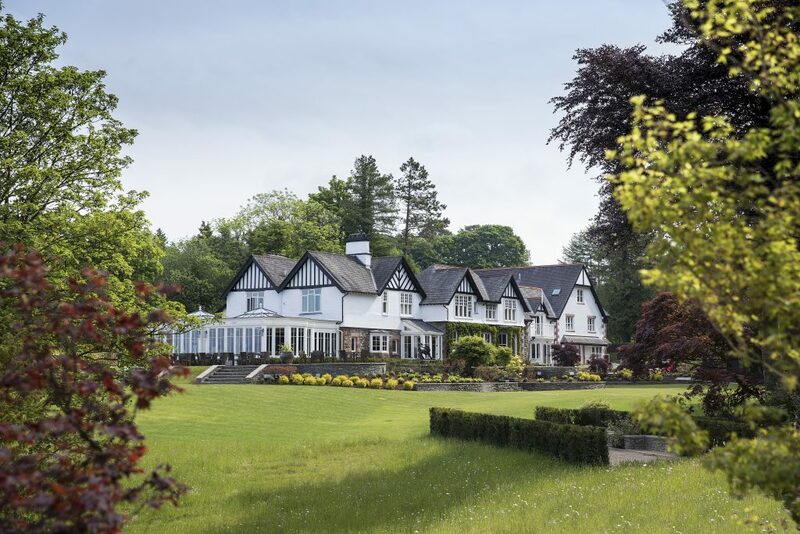 Situated on a hilltop overlooking Windermere in the Lake District, it’s an ideal hideaway for those looking for a luxurious base from which to explore the scenic surroundings. 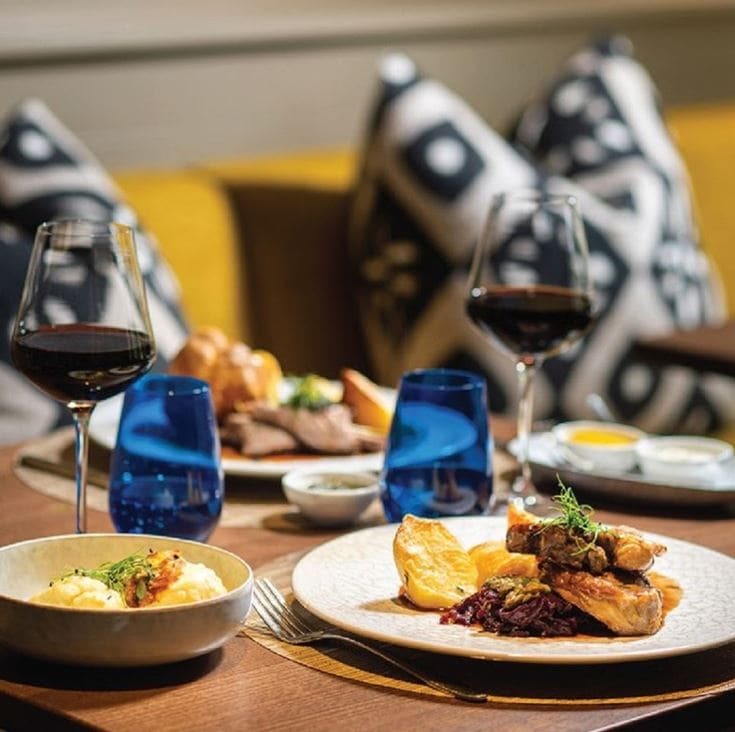 With a relaxed and comfortable atmosphere, the hotel’s modern and elegant style makes it a popular destination for those who love the finer things in life. Guests can enjoy a game of boules on the lawn, or a peaceful afternoon of fly fishing before heading to the restaurant to sample dishes made from the finest, locally sourced ingredients. 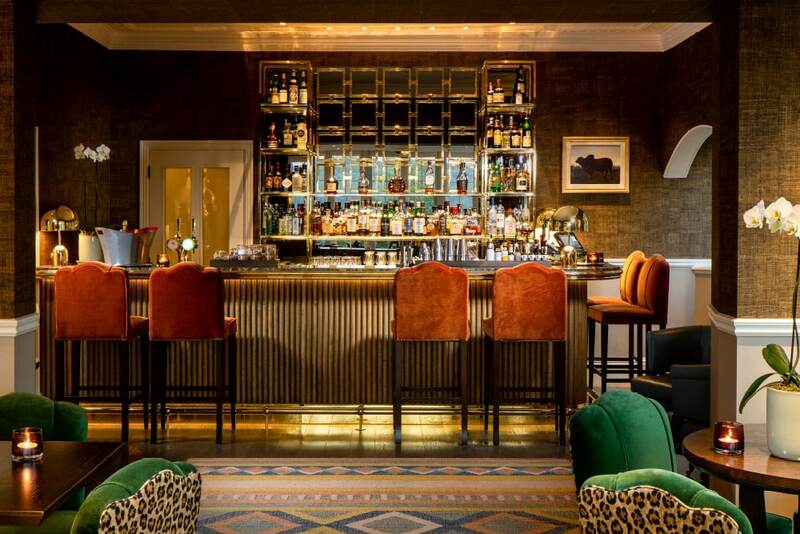 The hotel underwent a 12-month, £10 million renovation project which included the refurbishment of 30 bedrooms. 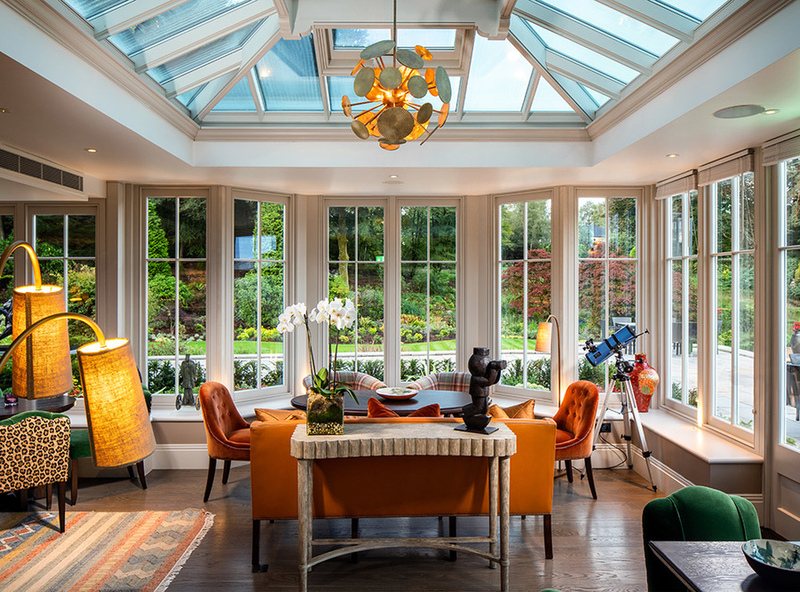 As part of the transformation, Westbury Garden Rooms worked with Gensler Architects to replace the hotel’s small, underwhelming Victorian-style conservatory with a bright and spacious orangery. 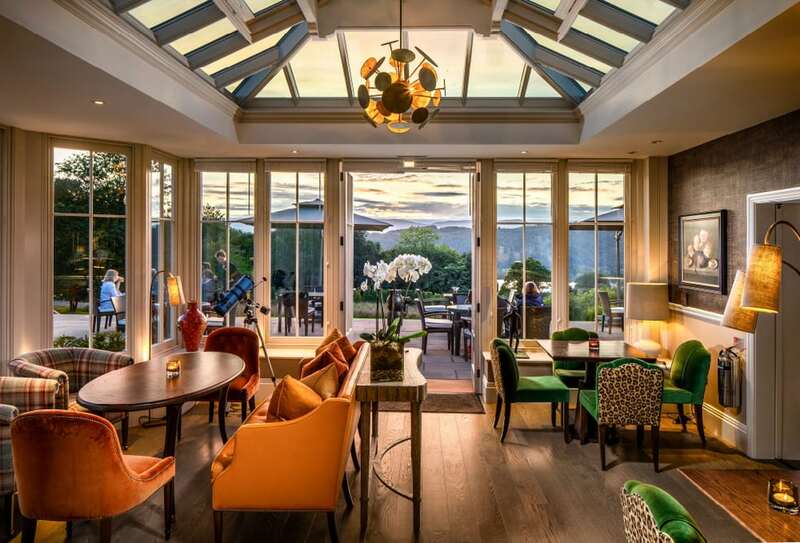 With expansive glazing that makes the most of the panoramic views, the orangery is an elegant bar and lounge where guests can unwind with a cocktail or two. 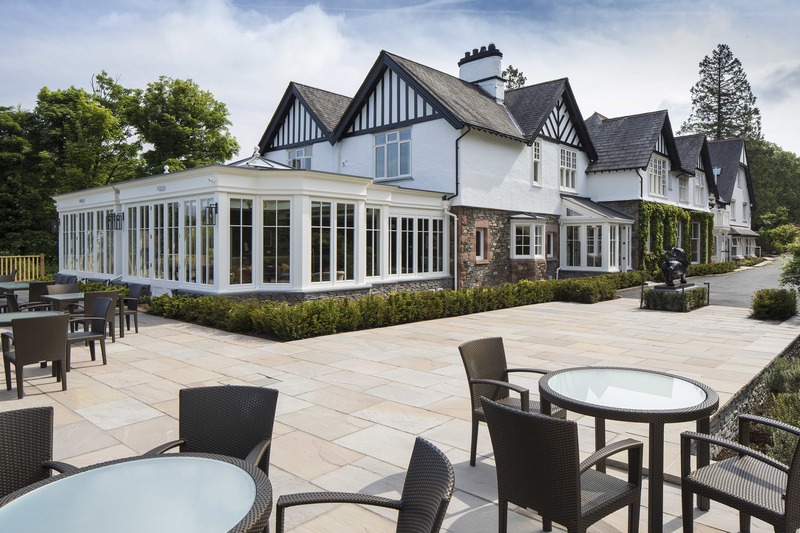 Find out more about the orangery’s design by exploring our case study. 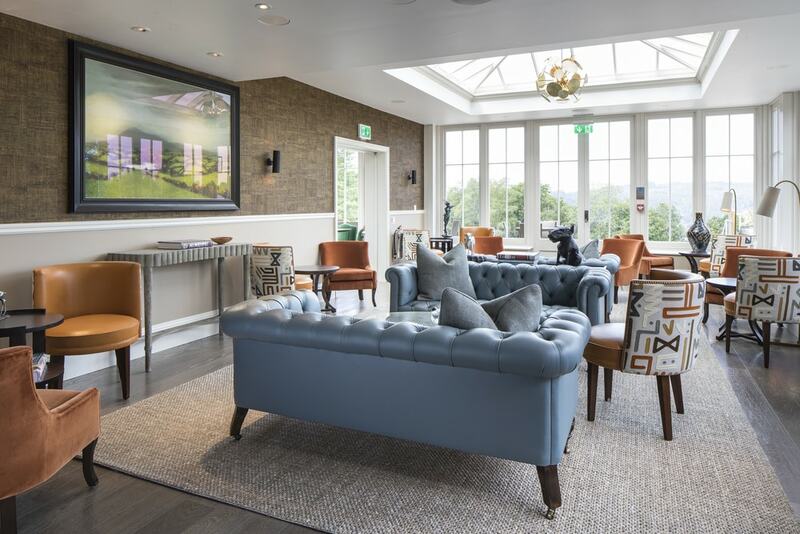 The new orangery at Linthwaite Hotel ‘boasts beautiful décor and comfy sofas, tempting you into spending the entire evening there playing games and sipping drinks’. Its popularity is proof of the structure’s exceptional design, which balances composition and proportion to create a truly opulent and harmonious space. 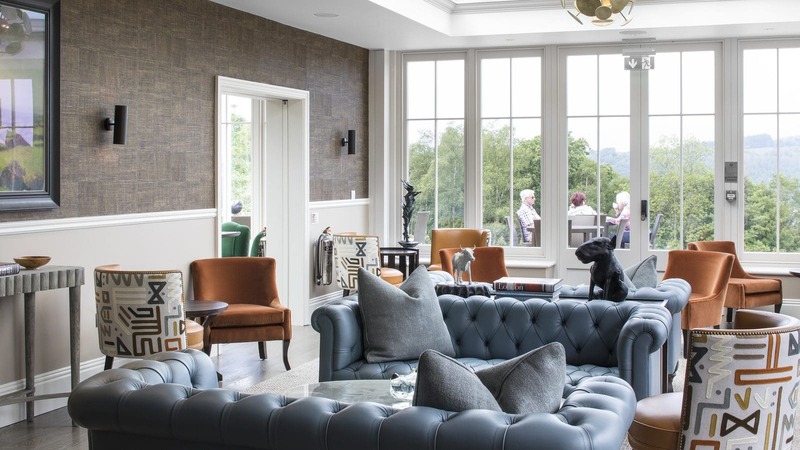 With her understanding of the Leeu brand and her ability to bring sumptuous materials together, Beverley Boswell has designed a modern scheme for the orangery interiors to celebrate the very best of British artisanship. ‘Bespoke design and luxurious detailing is my passion,’ says Beverley. She studied in Cape Town before completing an internship with David Easton Inc in New York, where she then joined Studio Indigo Ltd in London and worked on bespoke, premium residential projects. ‘Looking at the surrounding environment is key for determining the style of a room,’ she explains. ‘If a house has a classic Cape Dutch style set on a beautiful wine estate, then the interiors should complement and respect the architecture. If you’re working with a modern build, it might be better suited to a more minimal, pared-back style.’ Beverley quickly built a reputation for creating truly inspiring living spaces by combining beautiful aesthetics with practicality. In 2012, Beverley set up her own practice and now works between her London and Cape Town studios. She is the interior designer responsible for all the Leeu Collection’s properties in Franschhoek and the UK, after being referred to founder Analjit Singh by an acquaintance. Taking a collaborative approach, she’s worked on a range of their properties in Franschhoek, South Africa, including boutique hotels, restaurants, a winery and a microbrewery. 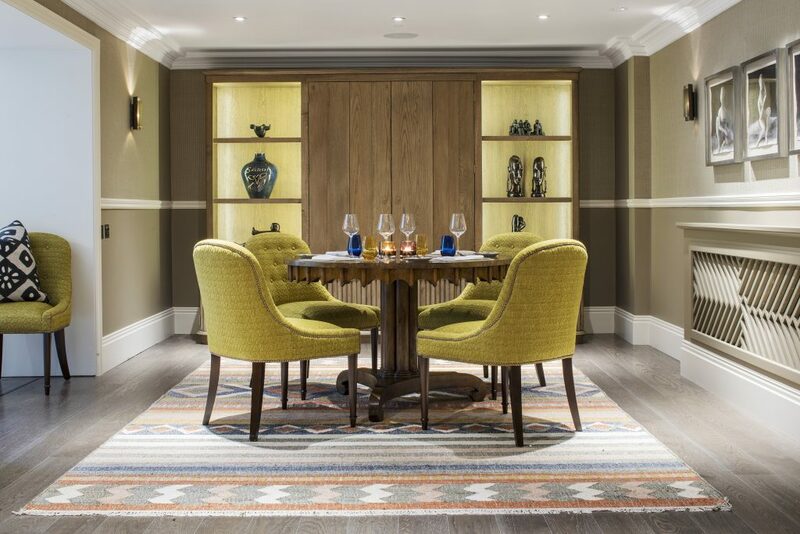 ‘Leeu is very much an international brand, and whenever I work on one of their hotels, the choice of colours and furniture is always influenced by the location,’ Beverley explains. 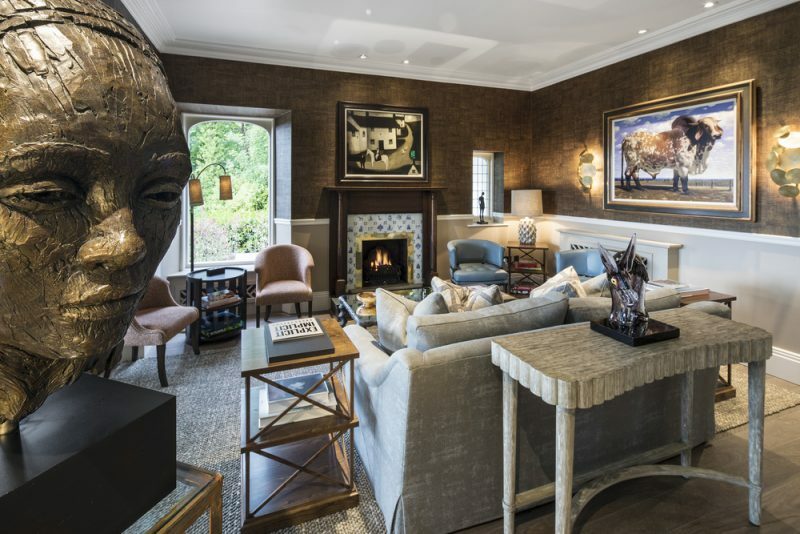 ‘This is what gives each property its own unique style’. 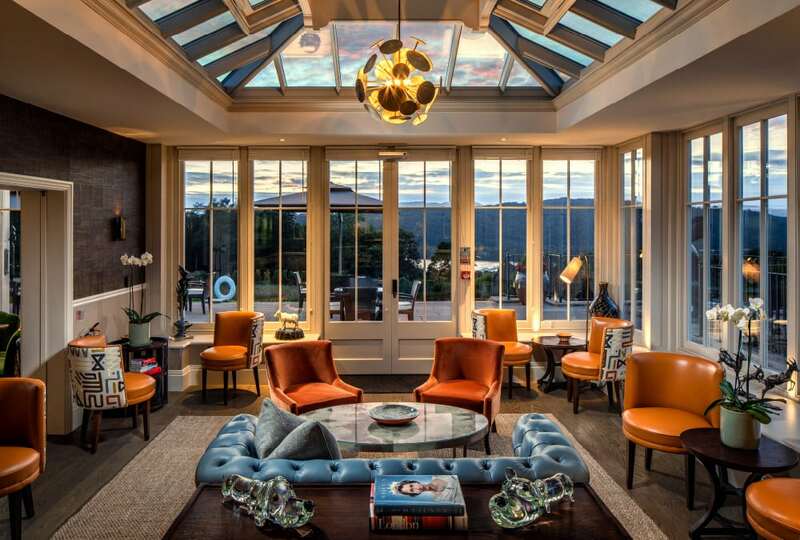 Beverley understood that, just like the other Leeu hotels, Linthwaite’s interiors had to be synonymous with exceptional quality and opulent details. ‘The orangery is the hotel’s main focal point. It’s an interesting space, almost like a wonderful glass box. 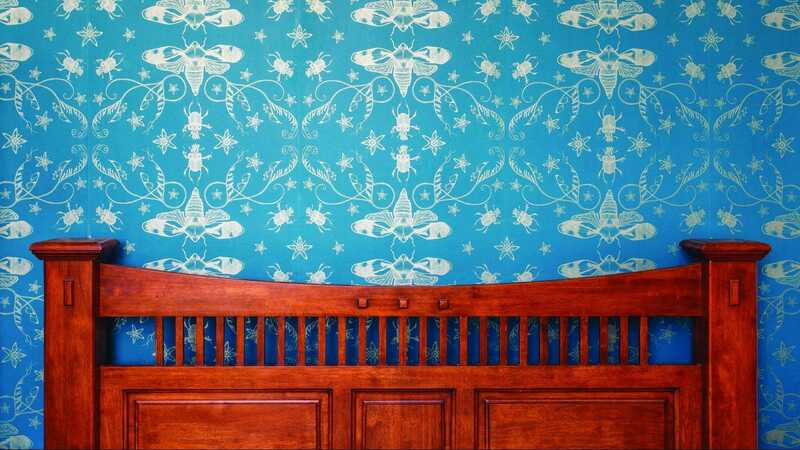 Right from the beginning, the spec was to make sure that nothing would obstruct the expansive views of the garden beyond when you walked into the room.’ All the furniture in the orangery is quite low, with Beverley collaborating with the team from London-based furniture makers Soane Britain to design custom versions of their Baby Bear Sofas. That’s one of the remarkable things about this scheme; give or take a few items, everything in the orangery has been made in the UK. It’s a scheme that showcases the very best of modern British design from top end suppliers, with pieces from William Yeoward, Porto Romana, and Simon Orrell Designs. Beverley selected timeless items with a unique twist, looking at the shape of a sofa or the detailing on a coffee table to use classic pieces in a different way, making the room feel modern and contemporary. Taking the purpose of the room into account, the fabrics are durable and hard wearing, especially velvet and leather. Beverley added some Ralph Lauren leopard print, as a subtle nod to her own South African roots. Mr Singh is a big art collector, which is reflected throughout the different hotels. 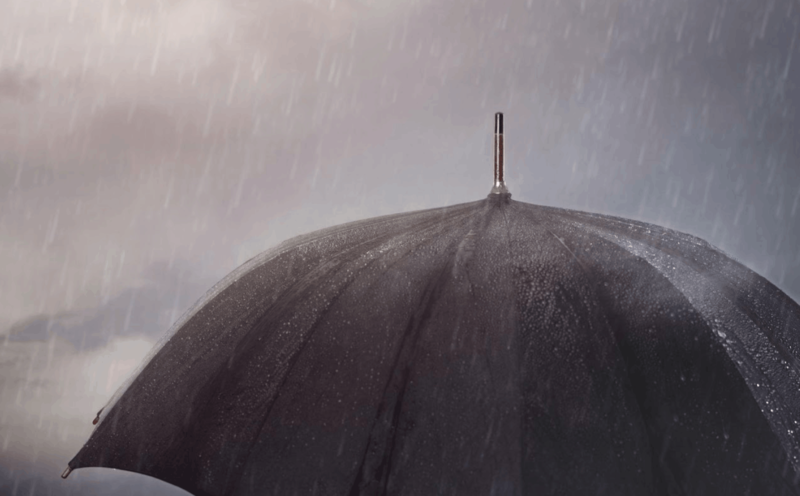 He states that ‘art is not only a pillar of the Leeu Collection. 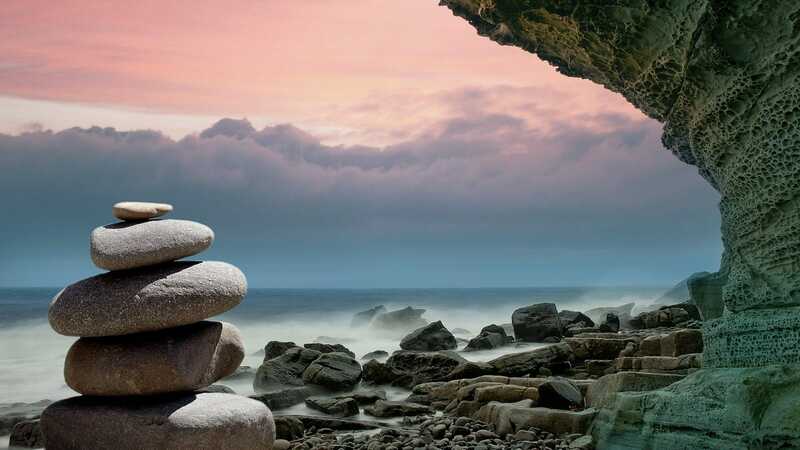 It is a passion and as important as food, wine, or sense of place.’ Beverley worked closely with Mr. Singh and a specialist art dealer to create an exclusive art and sculpture collection to adorn the walls at Linthwaite. 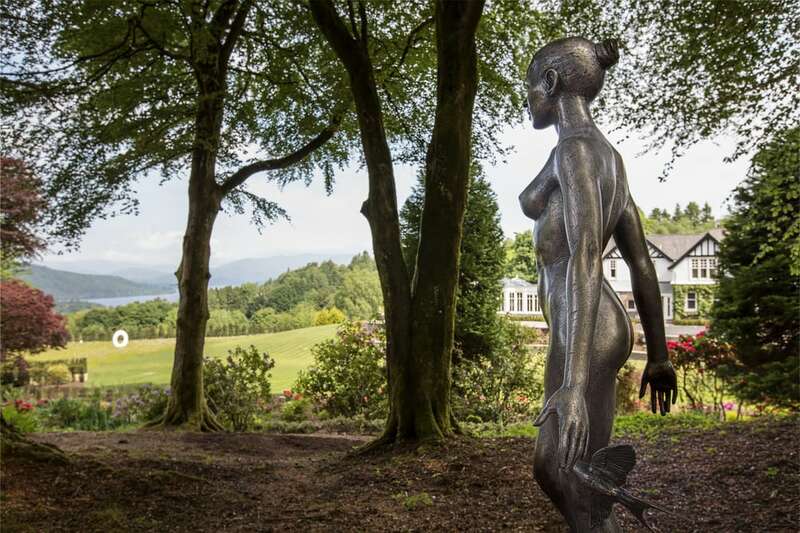 Sculptures by Dylan Lewis and William Peers were chosen for the grounds.